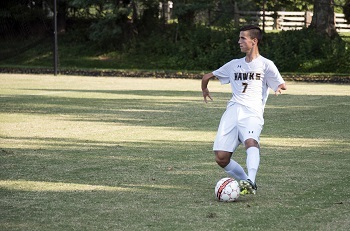 “It was great being able to represent the state, and sport you love,” – College of Southern Maryland (CSM) former soccer player and ’18 Alum Max Bode. “I chose to attend CSM after determining it was the best choice logistically, financially and academically,” he said, adding that when he started college he wasn’t sure what he wanted to study. “CSM gave me the opportunity to explore his interests with the wide variety of elective classes without having to go into debt,” he said. He also credits the sport psychology class he took at CSM for helping him decide that he wants a career in sport management. 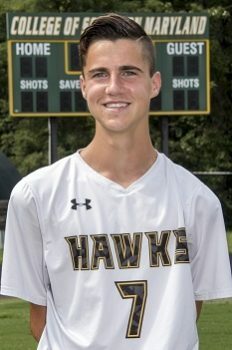 College of Southern Maryland (CSM) former soccer player and ’18 alum Max Bode has yet another milestone to add to his many accomplishments – he played for the United States U20 Futsal team in the Nov. 18-25 AMF U20 World Cup in Valledupar, Colombia. For information about CSM’s athletics, visit www.csmd.edu/athletics. For information about scholarships, visit https://www.csmd.edu/costs-aid/credit-costs-aid/scholarships-financial-aid/scholarships/scholarship-finder/.